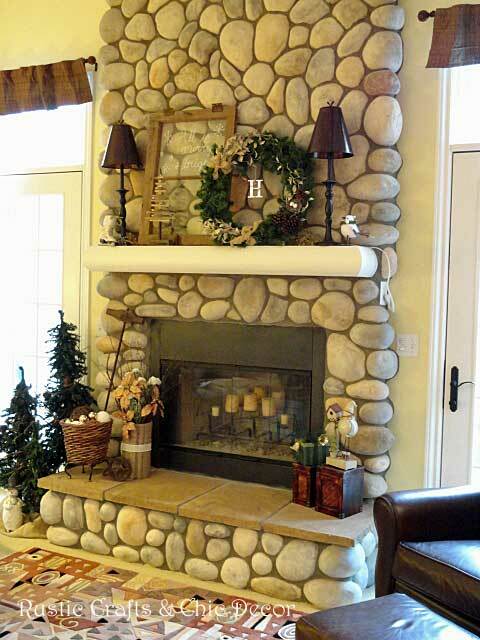 Besides decorating the Christmas tree, the next most popular item to decorate for the holidays is the fireplace mantel. In fact, I usually start with the mantel and work my way up to the tree. 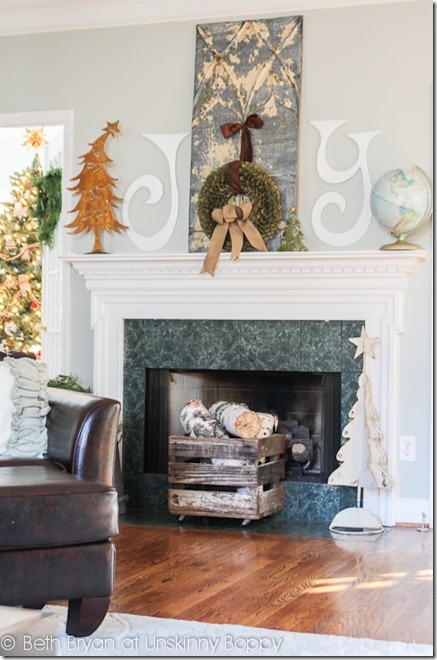 This year, I switched up my great room mantel a little bit from previous years with a couple new items that I have been working on. If you have been following along, you know that I just upgraded a plain artificial wreath with some easy embellishments. 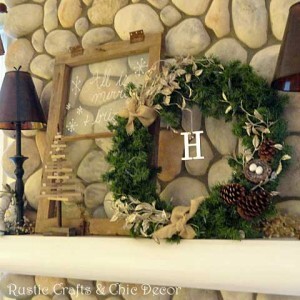 You can find the how to at my decorated Christmas wreath post. 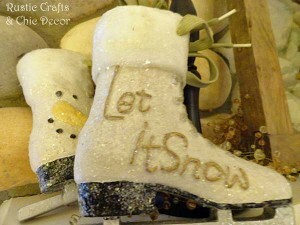 I also took an old window and made it seasonal by writing a Christmas message with a chalk marker…..super quick and easy! 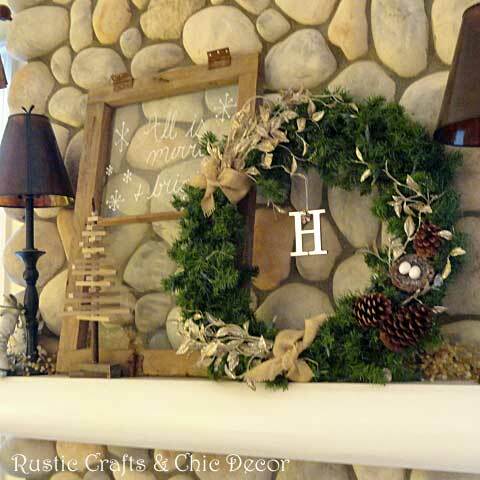 Why not use the entire mantel to spell out a festive word? 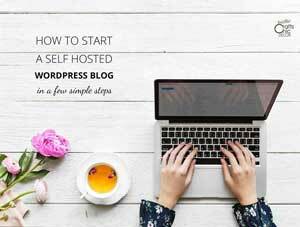 I love this unique idea by Unskinny Boppy! 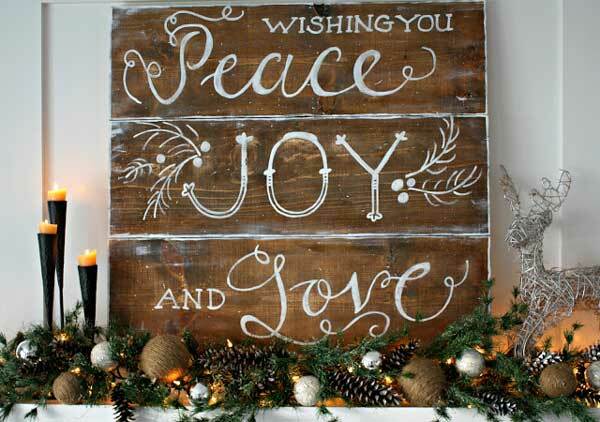 It is especially fun that the letter “o” is made with a Christmas wreath. This rustic sign makes a festive focal point on this holiday mantel by The Lily Pad Cottage. 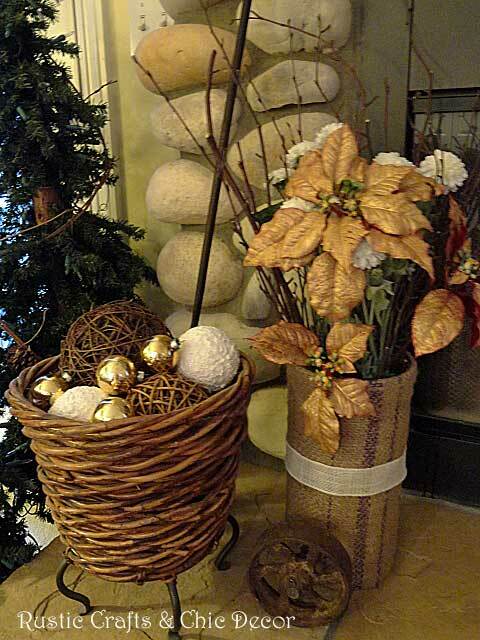 Here is an interesting Christmas mantel full of texture and differing design styles that all mix for a rustic chic look. 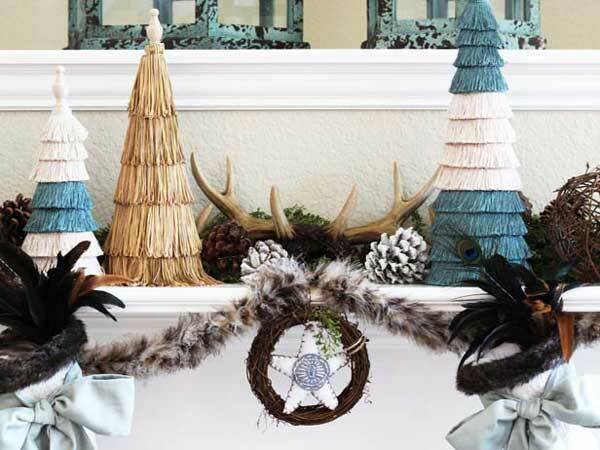 This is giving me a thought for another mantel and some of my husband’s antlers and turkey feathers! 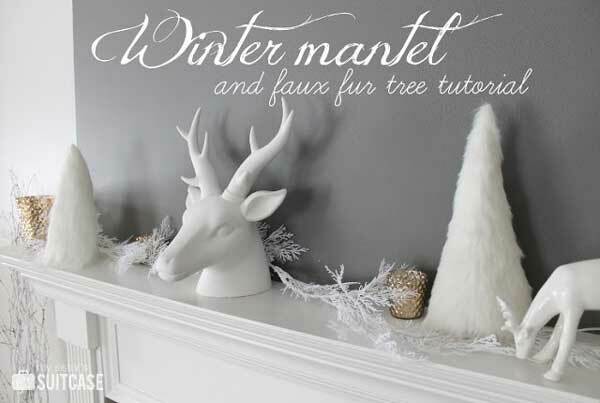 For a cool and fresh look that will last all winter long, try something in all white like this mantel by Sisters Suitcase Blog. 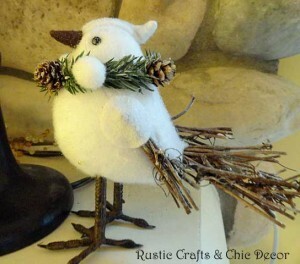 You can see how to make those fuzzy white Christmas trees by checking out their fur tree tutorial.